A handful of crocus bulbs starting to peek out in a candy dish of vermiculite. I think I meant to plant these outdoors, but since I didn't, I decided to let them bloom inside. 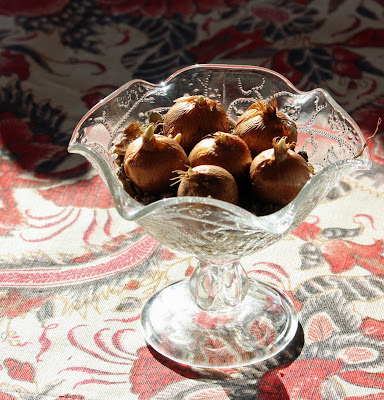 Did you put the crocus bulbs in your fridge (or somewhere else cold) for so many days? The reason I ask is the daffodils and tulips need so many nights at below 40 degrees or whatever to bloom and I was wondering if crocus are the same. One more question, if I may. Your photo output is so prodigious that I always wonder if you actually do go out each day, or do you work ahead and put some pics "in the can" for when you need them? Love your blogs, as I'm sure you know. Hi Memphis MOJO! The crocus bulbs were in the garage, so they were plenty cold for a few months. They're peeking out fast now that they're warmer. And I do try to go out every day. 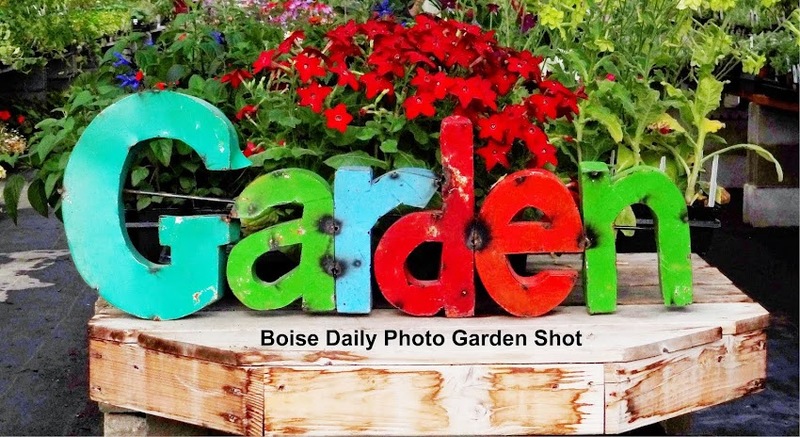 Sometimes, I get a couple of photos to use later, but mostly, I want to reflect what I see in Boise each day. And, since I work from home, it gives me an excuse to step away from my desk. I enjoyed seeing the crocuses in that nice bowl - a most excellent idea. As we head into February with Valentine's Day, St. Patrick's Day, Easter, and so on - people are beginning to think more about flowers and getting some color back into their world after all this snow. I think you have given me an idea...!